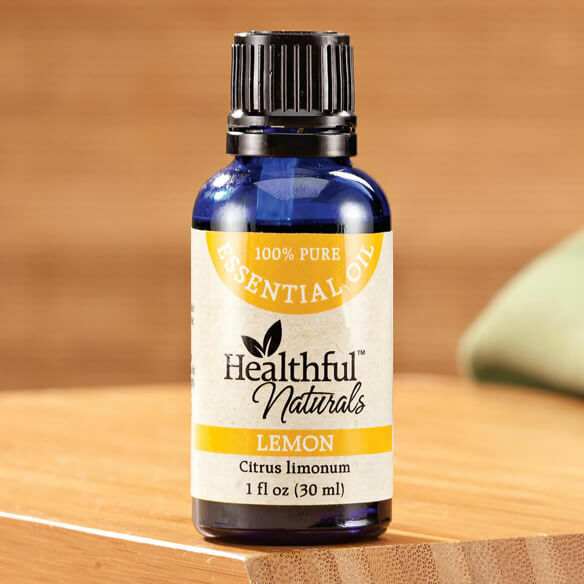 Promote a positive mood and energetic body with zesty Healthful™ Naturals lemon essential oil. Cultivated using sustainable farming methods, this cold-pressed lemon oil has refreshing, cleansing, and toning properties and a fresh citrus aroma. It’s often used to detoxify the body, aid in digestion and increase mental focus. In living environments, this natural degreaser is ideal for cleaning and purifying air and surfaces. Promotes a positive mood by uplifting mind and body. Blends well with lavender, rosemary and ylang ylang. Value-size 30 ml bottle contains approx. 500 drops. Dilute in water for aromatherapy or a carrier oil like jojoba, coconut or olive oil for topical use. Pure essential oils are not to be ingested. Perfect with our essential oil diffuser & humidifier (sold separately). This is a good product that I have used before. The price is good and I only buy items that have free shipping. I chose this scent based on the reviews and it was part of the buy 2 get one free promotion. Even if I did not care for it, I was not going to be impacted! Great product and this is a repeat of this Essential Oil. I add about 5 drops of an essential oil to: the white vinegar, peroxide and dish liquid I use to clean my carpet. It makes the whole house smell so nice." I am replenishing my supply, I have now bought three bottles of this product, it's a great quality oil at a great price. I drink lemon oil in my water all of the time and this price was good. I have not tried this brand before. I've bought this one before also and I love mixing it with the Lavender and it makes a wonderful aroma. Love Lemon scent and use it with Rosmary in my diffiser.